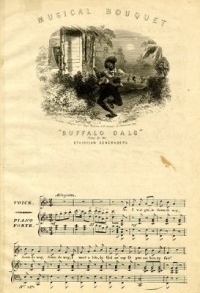 This page Song is part of the music series. In music, a song is a composition for voice or voices, performed by singing. A choral or vocal song may be accompanied by musical instruments, or it may be unaccompanied, as in the case of a cappella songs. The lyrics (words) of songs are typically of a poetic, rhyming nature, though they may be religious verses or free prose.Its basic objective is to entertain the listener. A song is a piece of music for accompanied or unaccompanied voice/voices or, "the act or art of singing," but the term is generally not used for large vocal forms including opera and oratorio. However, the term is, "often found in various figurative and transferred sense (e.g. for the lyrical second subject of a sonata...)." The noun "song" has the same etymological root as the verb "to sing" and the Oxford English Dictionary (OED) defines the word to mean "that which is sung" or "a musical composition suggestive of song." The OED also defines the word to mean "a poem" or "the musical phrases uttered by some birds, whales, and insects, typically forming a recognizable and repeated sequence and used chiefly for territorial defence or for attracting mates." In the Early Middle Ages, examples of satire were the songs by goliards or vagants now best known as an anthology called Carmina Burana and made famous as texts of a composition by the 20th century composer Carl Orff. Unless indicated otherwise, the text in this article is either based on Wikipedia article "Song" or another language Wikipedia page thereof used under the terms of the GNU Free Documentation License; or on original research by Jahsonic and friends. See Art and Popular Culture's copyright notice. This page was last modified 07:01, 9 May 2014.